The Chapter will be released for all platforms on June 5th, though there will be a PC early access period starting May 21st. 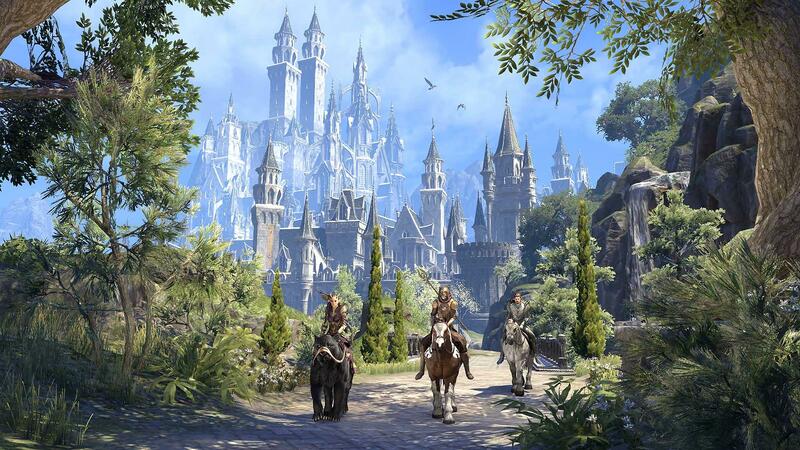 As it is a Chapter, like Morrowind, it needs to be purchased separately and is not included in ESO Plus. It will also be on the PTS, starting “April-ish” to mid-April. The prologue quest is in the live game as of Wednesday, the day the expansion was announced. - Two New Zones: The expansion takes place in a new large zone, Summerset Isle, and also features another, smaller zone, the Psijic isle of Artaeum. 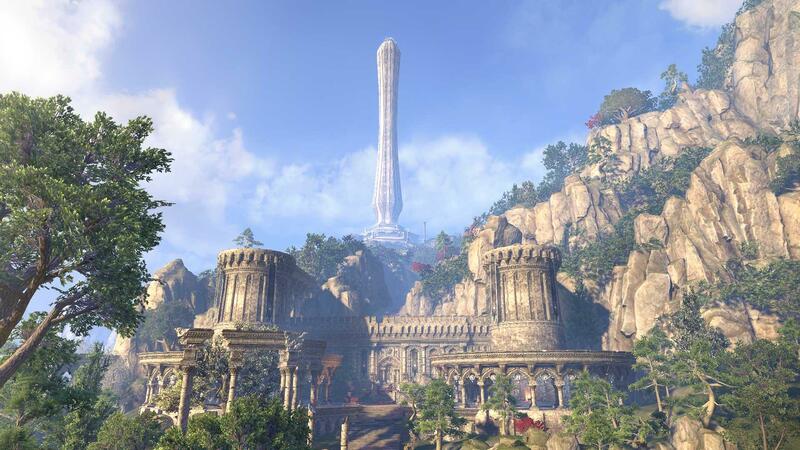 Summerset Isle will be the biggest PvE zone - even bigger than Vvardenfell. Ayrenn has opened the borders to the Summerset Isle for the first time. 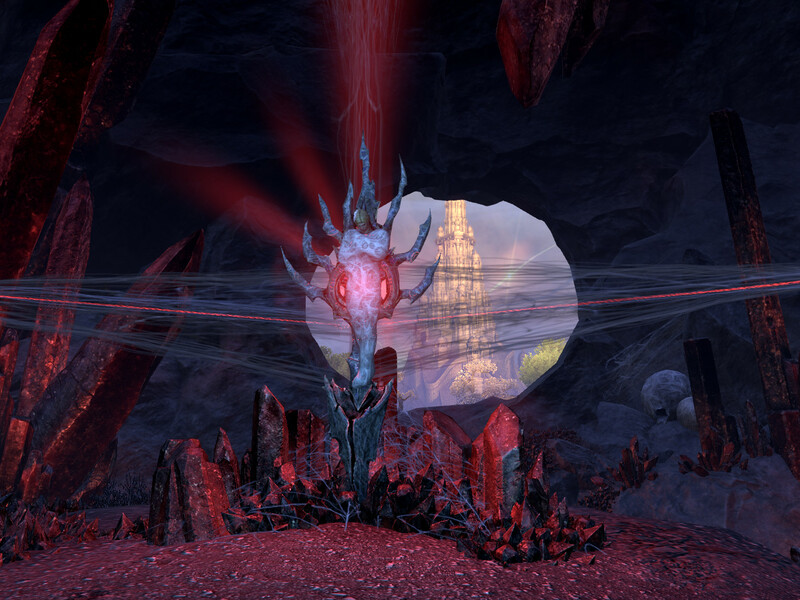 The story will conclude the overarching Daedric Triad storyline from the last few story DLC and Morrowind chapter, and will feature Mephala. It also involves Queen Ayrenn’s cousin (Alwinarwe, the Proxy Queen, who takes orders from Ayrenn and has charge of the Summerset Isles during Ayrenn’s involvement in the Three Banners War), and Razum-Dar. There will be a new tutorial for newly-created characters, like there was for the Morrowind chapter. Featured locations include Alinor (the capital), Shimmerene (the starting city), Cloudrest (the site of a new trial), Lillandril (home of two rival groups - the College of Sapiarchs and the local chapter of the Mages Guild), and Rellenthil (home of the House of Reveries, an acting troupe). 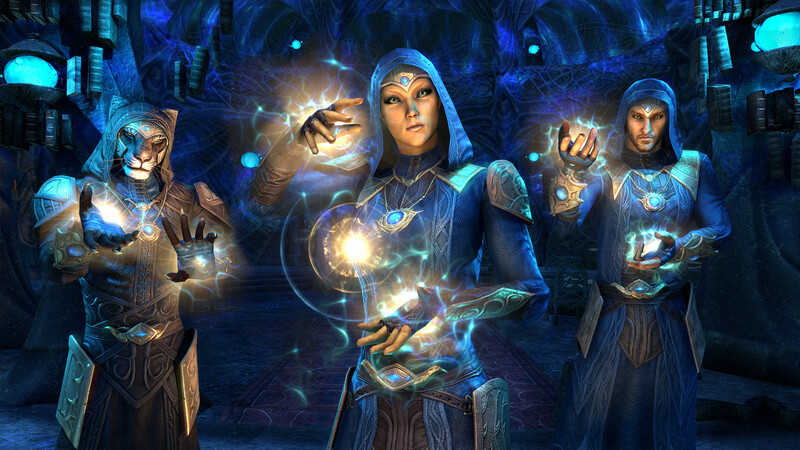 Other featured characters include Valsirenn (a member of the Psijic Order sent to investigate a threat), and Alchemy (a member of the House of Reveries). - Psijic Order/New Skill Line: The Psijic Order plays a role in the main quest, and along the way you will visit the isle of Artaeum and will be able to join them. 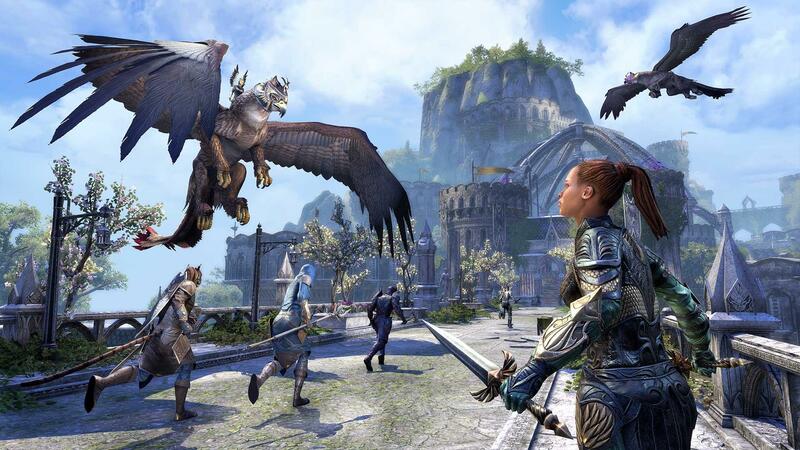 This gives your character access to the Psijic Order skill line, which offers a new set of combat skills, including the ability to manipulate time itself. It’s a combat-oriented skill line, and themed around the Psijic Order’s mastery of Mysticism and Time, and includes 5 active abilities, 5 passives, an ultimate, and morphs. The ultimate ability, called Undo (name not necessarily finalized), allows you to rewind time and rolls back your health, magicka, stamina, and location to where you were four seconds ago. Two other abilities are “Time Stop”, which temporarily freezes your opponents, and “Meditate”, which recovers some health/stamina/magicka over time. The skill line is leveled up by completing a series of quests in a side story about them, which explains why they have returned. - New Trial: A new 12-player trial takes place in Cloudrest. It is the home of the Welkynar, a faction of gryphon-riders who are the ancient defenders of Summerset. The story involves the Divine Prosecution having evacuated the city after some sort of catastrophe, and the Welkynar going silent. 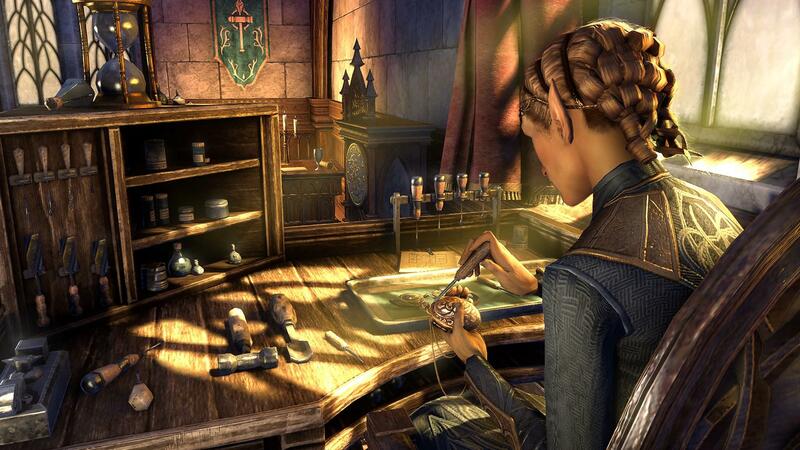 - Jewelry Crafting: Jewelry crafting has been one of the most sought-after changes to the game that players have been asking for since launch, and now it’s finally coming to with the Summerset Chapter. In the reveal Rich Lambert stated that jewelry crafting will work like the other six crafting professions in that its skill line will include many passives that will improve your abilities to craft stronger and higher quality jewelry. As of now there are currently only three traits on jewelry items; Robust, Healthy, and Arcane, which only increase your maximum attributes. With the new Summerset chapter they will be introducing six completely new traits to jewelry. Rich Lambert teased one of the traits — Bloodthirsty, which increases your damage to targets when they reach low health near execute range. Jewelry crafting is a huge addition to the game which has the potential to completely change the realms of pve and pvp when it comes down to best-in-slot builds and theorycrafting in general. With jewelry crafting it is entirely possible to run two five-piece crafted sets, which was previously impossible to do. Along with that the implications of possibly being able to retrait jewelry in the game opens the game up to a new level of build diversity that has never really been seen before in ESO. There are several different bundles available with the expansion, as well as pre-order bonuses. Nightmare Senche mount - You get this immediately if you pre-purchase digitally, and at launch if you preorder the physical version. Razum-Dar’s Journal - Like the Improved Emperor’s Guide and Naryu’s Journal, this is a journal-style story with concept art. It contains “the musings of Razum-Dar” and his report to the Proxy Queen. There's also a new edition called "The Elder Scrolls Online Collection", which includes the base game, both Chapters, and the four DLC from the Gold Edition (Imperial City, Orsinium, Thieves Guild, Dark Brotherhood). The prologue quest has been added to the live game as of Wednesday, and you can start this quest by speaking to Vanus Galerion in the major cities' Mages Guilds, or by getting the Mage’s Message Stone from the Crown Store (free). The reward for this quest is the Wyrd Elemental Plume memento, which makes your character conjure a small swirl of air on their hand. More details on the quest's plot can be found in one of our earlier datamining blog posts here. 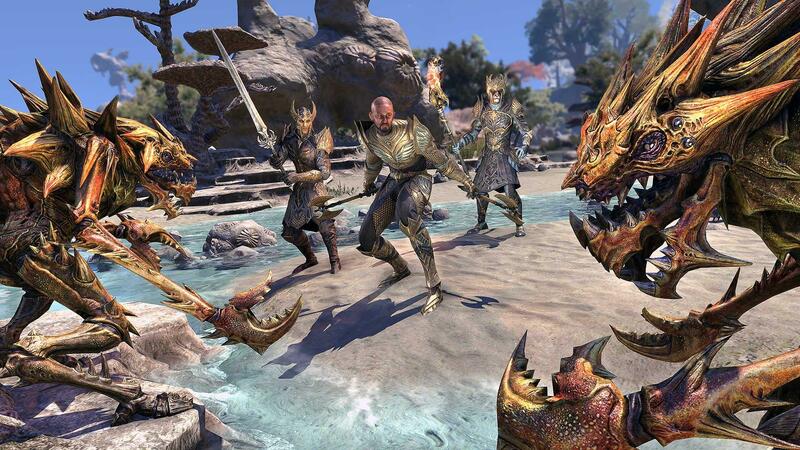 If you haven’t tried out ESO yet, there’s a free play weekend for the base game going on from now to Monday the 26th, so now’s a good time to see if you like it! And if you haven’t already, you may be interested in checking out our previous three blog posts with info we’ve datamined from the chapter (note that it's subject to change) - we predicted several things that were revealed in the announcement. We imagine more details about the expansion will be released over the next few weeks. Feel free to join our conversations about it on Discord, and stay tuned for more coverage (including PAX East)!